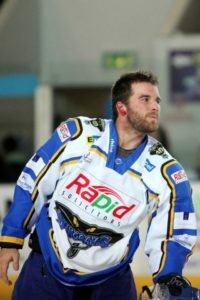 This article is a bit of a reciprocal of the usual articles on this website as this one relates to PTSD(Post Traumatic Stress Disorder) in a non-hockey playing individual who now uses their involvement in hockey to help heal some of their past career life struggles and battles of being in the military and navy. All I can say is that when I played hockey, I know how much the local hockey teams meant to the fans who supported them game after game and year after year and it’s an amazing feeling to know that you get to play in front of so many great people night after night and they don’t always get to know that our efforts on the ice are just as much for them as it is for ourselves down on the ice. 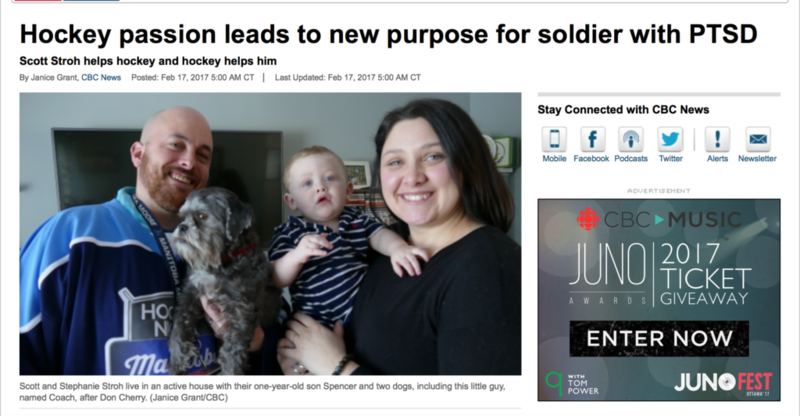 And this article from CBC is another great story to showcase how sports and hockey can have a positive impact on a persons life in one capacity or another. I was going to wait for a bit to address this article but I don’t have great patience and I honestly feel that the sooner I talk about this the better off this website is going to help others. I had actually wrote an article about this a couple years ago that is probably still floating around social media so this might seem a bit regurgitated for those who have read it before but here I go again with a few minor updates. Sorry guys, but we have to talk about this. You all know that you or several of your former team mates have or will go through this stage at some point in life. It may not be the day or week after you play your last game, but instead maybe a month, or two, or even for some it takes a whole year. But believe me when I tell you, it will happen to you. You may think you will be the exception. Or you may luck out and fall into a coaching or hockey related job that keeps you fully immersed in hockey so you won’t have the opportunity to fall into this deadly psychological trap. But I’m sorry to say this again, it will happen to you. Ask a coach who has played pro hockey his whole life if coaching is the perfect scenario to follow up a hockey career with. The answer could go two ways I know. But think about how they really feel behind the scenes. Some people will say, ” those who can’t, teach.” I disagree. A coach is someone who knows that their time has come to let someone else enjoy what they have enjoyed for several years, but at the same time they will never forget what it felt like to be a player. 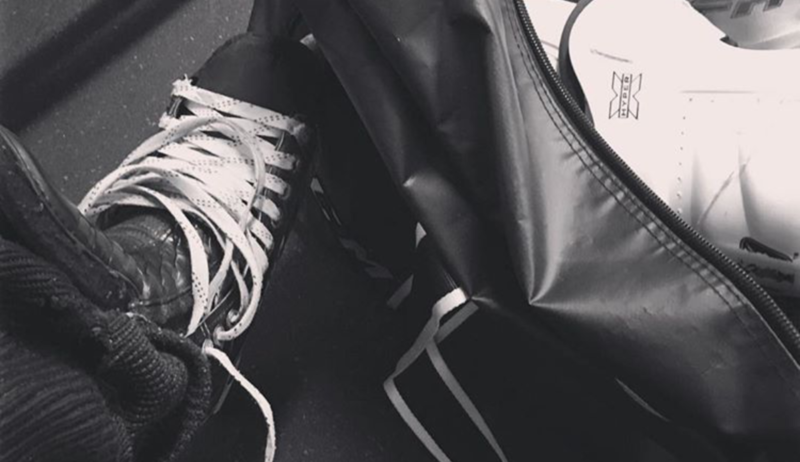 And being a coach now is bittersweet because every day you go to the rink you know you can’t lace them up like you use to and you can’t physically contribute to the success of your team like you use to either. Now your efforts are more mental and your physical contributions will only come when demonstrating drills and systems, and if you’re lucky enough your players will let you participate in the shootouts or “juice boy” that take place at the end of a training session. So no matter what you end up doing after hockey there is going to be a black cloud over your head. It’s not going to be easy to get rid of, and some players clouds will be bigger, and some players clouds will be darker, but nonetheless a cloud is a cloud and if you don’t deal with it, it could mentally and psychologically destroy you. I will be the first to admit I had and have a black cloud over me. And to be honest some of us always will. 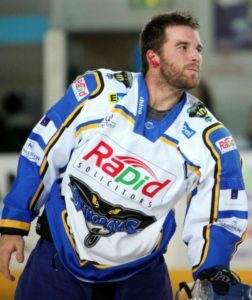 Fortunately for me I have decreased my black cloud to a very small one now and I’ve mentally got my head wrapped around the fact that I will never be playing pro hockey again. Now take a second to think about the old legends of the game. I bet there isn’t a day that goes by where someone like Wayne Gretzky or Mario Lemieux doesn’t wish they would have kept playing. or wish that they still physically could. I’ve been out of the game for about 4 years now, and it still kills me to watch hockey highlights once in awhile because I watch the plays and the players move around the ice and it makes me mad that I could still be out there doing the same. And even though I still play for fun on a couple beer league teams or during a noon hour game for work with clients and colleagues, but that just doesn’t exactly cut it. The reality is, we can’t do it forever. And we definitely can’t do it as well as we use to be able to. Mind you I do believe I was getting better with age but I won’t ask anyone else’s opinion on that! But in all honesty, and unfortunately the dream does have to end and we all have to wake up and literally smell the coffee that sits in front of us at our office desk or in our vehicle console on the way to our real world jobs. It’s the facts of life and we can deny the real world as long as we want, but at the end of the day the majority of us have to go to work for a living, and pay the bills, support our families and try and save money for the future just like everyone else. So let me tell those who are still playing that the time is coming, and we all don’t know when, and we all don’t know how, but it will come. So make damn sure you embrace every single second of your time out on that ice, even on those days when you question yourself about why you’re still playing. Just remember about the Wayne Gretzky’s and the Gordie Howe’s who would love to be in your shoes. Enjoy it while your mind and body still allows you to because trust me, when your body doesn’t keep up with your mind or your mind doesn’t keep up with your body, you’ll remember how good those days were when they both worked so great together. For those who are like me, who may feel that they walked away too early, or those who maybe had no choice but to leave that era of their life for reasons that couldn’t be controlled, regardless we need to stick together and help each other stay focused and move forward. This isn’t an easy road to travel now, but it’s still a worthy one. And I would rather read about everyone’s successes in this world rather than their struggles at the end of the day, so let’s talk about the hardships now so we can focus on the game plans to success moving forward. For those who think I am wasting my time writing about this stuff, you will either never understand, or you just aren’t ready to talk about your own battles yet, and that’s ok. But for today, I am sharing my own story with others for the intent to help even just one guy make some positive moves forward in their life either before or after they leave the game they loved for so many years. This article really excites me because it’s my first post that reflects exactly what my goal is geared towards by building this website and the content associated to it. Let’s talk about Jeff Ulmer. I don’t know Jeff personally yet, but I am fortunate enough to know Jeff’s relatives from growing up in Saskatchewan and that was how I originally heard about Jeff’s articles. He had actually started posting his articles on LinkedIn to start but shortly realized the value of having his own personal website as well which I’m glad he switched over to. The reviews on his articles have been more than positive and inspiring to others who have read them and I know his audience will continue to grow even larger with each and every additional article he writes. 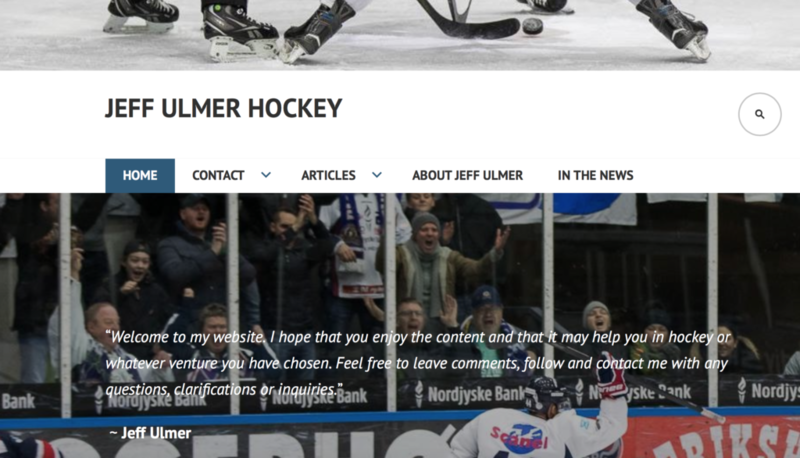 This example is definitely a step in the right direction for not only Jeff but for others who will see the value in generate a positive presence outside of the hockey world. He will slowly build his personal reputation online as an educator, a mentor, a motivator and someone who will make a great leader in business some day when he is ready to walk away from the game. Jeff has opened yet another door to future opportunities for himself through his life revolved around hockey and I look forward to following his continued journey through his social media channels. It’s always nice to see current and past players share their physical and mental struggles and successes with the rest of the hockey world to help give some insights on the overall lifestyle incurred by a hockey player over his playing career. All Good Things Come To An End.. Or Do They? I need to start off this website blog post by saying that it sure is refreshing to see several hockey players from the past finally coming forward and expressing their input and feedback on their wins and losses during their time on and off the ice. 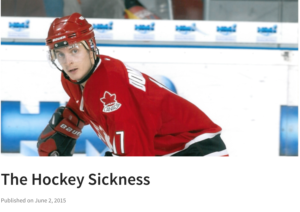 Most importantly, it is good to read many stories out there now that can help me identify that retiring from hockey really can become an illness that isn’t always easy to diagnose or treat. I won’t get into my own opinions of this just yet but once you read a few articles that have been written by other hockey players from all over the world then I will write my views when I feel the time is right. Stay tuned for some well written, very detailed stories on the success and struggles of pro hockey players from all areas of the world. Author healingfromhockey_l2tsrvPosted on January 4, 2017 March 6, 2017 Categories The IntroductionLeave a comment on All Good Things Come To An End.. Or Do They?